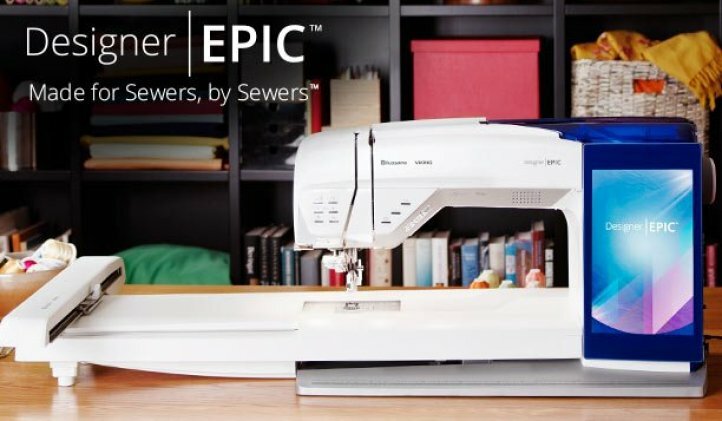 Our re-imagined DESIGNER EPIC™ machine tailors the sewing experience around your wants and needs through a tablet-like interface, WiFi, 120 step-by-step animated and illustrated tutorials, and much, much more. The result is a brand new sewing experience where your own creative exploration can come to life in special ways. Use the industry-first patent pending Dimensional Stitches to add appliqué fabric or pop-up effects for exceptional decorative results. Measures the specific thickness of the thread being used and portions just the right amount for your next stitch. 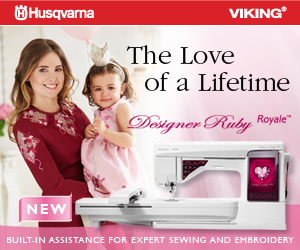 Makes sewing with challenging specialty threads problem-free! 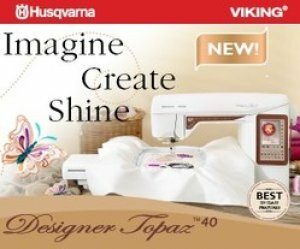 Top of the line in the trusted Husqvarna Viking family. For those looking for a high-end experience with an easier price tag! 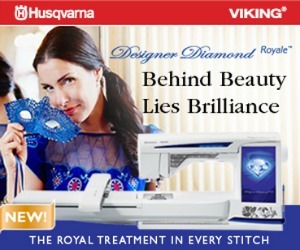 Includes many of the features of the Diamond Royale including the deluxe stitch system and has 20% faster embroidery, interactive color touch-screen, and much, much more. Provides excellent stitchery with a few less bells and whistles as the Diamond and Ruby. Excellent starting point for those just entering the world of embroidery. Exclusive sensor system technology determines the thickness of the fabric and adjusts the pressure of the foot accordingly.